…After reading your article “In Pursuit of Authenticity,” I hope that you might be able to give some insight into how one should insure an antique vehicle so that it is insured for the “go everywhere” driver … I dropped one insurance company in 1990 because when I called them and questioned them about when I was covered they gave me a very restricted range of coverage and limited allowed mileage. I have been with another company (again, company name deleted) since then because their coverage includes the phrase “maintained solely for use in exhibitions, club activities, parades or other functions of public interest and is occasionally used for other purposes,” and they do not have a mileage limitation. (1) I take an antique vehicle to a local restaurant for dinner. (2) I drive to a local grocery store for a loaf of bread. (3) Living in Los Angeles, I take a trip up the coast to San Francisco, staying in motels/hotels along the way. The answer that I received was that I would not be covered in any of the above cases. This article originally appeared in Skinned Knuckles, a magazine dedicated to the authentic restoration of cars and trucks and to the preservation of vehicles from the brass era through the early 1970s. It is available by subscription only. Articles are copyrighted and all rights are reserved; reprinting is authorized by written permission of the publisher only. I drafted a letter outlining the scenarios presented by Bob W., and mailed the letter to twelve insurance companies, including the “big company” names so well known to us, as well as a number of smaller insurance companies whose names I found during an internet and collector-car periodical search. The first thing that I found out was that if an inquiry doesn’t fit into a predetermined category which can be readily answered by a clerk, it is conveniently “lost” by the company. Only a handful of insurance companies responded to my first letter, which was addressed either just to the company name or to the ‘Underwriter” at the company name. In a second batch of letters, I named the president of the company (or the chief officer) in the address (those names were located through an internet search or by telephone calls to the company). In every case the second letter – with a brief cover note explaining our objective, pointing out that we never received an acknowledgement to our first letter, and a copy of the original letter – prompted a response from either the chief underwriter or an executive of the company. I point out the difficulty in getting a response from a responsible party so that you, the reader, will understand why you have difficulty getting an accurate answer to your inquiries. Once the second letter was received by the company president, I began to get a flurry of telephone calls. I kept names of the callers, along with their responses on file so that we could double check information if necessary without having to start from the bottom again, re-explaining everything to another clerk. The second thing that I found out was that the initial “knee-jerk” response was often tempered by further discussion. In a couple of cases the representative back-pedaled after being directly questioned and confronted with the information that a competitor interpreted the situation differently. I realized that we’re dealing with an intangible product, and that human judgment goes into the response. There are (virtually) no hard and fast rules, and every situation is subject to the perception of the clerk reviewing it. What it means is that you are only insured if the person reviewing your claim thinks that it is beneficial to the company, or if the claim is “black or white.” Shades of gray can be twisted and ignored. Having stated that though, it doesn’t mean that if denied, you have reached a dead-end. Often you can request, and get, a review of your case. Sometimes it takes a bit of telephoning to get the name of a responsible individual who will take the time to carefully review the facts before approving or denying. And often that person is not an employee of the insurance company from which you bought the policy, but from the company that actually accepted the policy and is doing the insuring. Let’s take a moment and review just what insurance is and how it’s handled. You either verbally or on an application give a brief synopsis of the car(s) that you own, the value that you consider each car to be worth, and the estimated number of miles that you will drive (think this one through pretty carefully – if you only drive to a local car show or local parade occasionally, you are not going to rack up many miles). You provide a history of your driving records. You may supply a credit card number and have the company provisionally approve your application. The application is reviewed by the agent company’s underwriters (or a clerk), approved and then sent on to another company that will assume the actual risk of insuring you. This second company is known as the “Carrier.” The Agent will issue a policy. The carrier’s name will appear on the policy itself, with the agent’s name as a secondary identification. For all intents and purposes, this is the last that you will hear of or from the Carrier unless there is a claim. If you have no claim, you will merely get a renewal notice (along with applicable premium increases) from the agent. You will write the check(s) to the agent, and they will pay the actual premium to the carrier, keeping a percentage or commission for themselves as sales agents and to cover the paperwork. In most situations the agent is authorized to review your claim, and, on small claims (such as a broken windshield), approve payment on the spot, and the carrier is notified to pay the claim. In cases of bodily injury, dispute or larger claims, questions of liability or disputes as to fault the case is turned over to the carrier company which will review all factors and determine fault, liabilities, and amount of settlements. If a damage appraisal is required, the carrier company generally has independent appraisers who will visit the vehicle and determine an estimate of repair. You are free to choose the repair facility to do the actual work. An agreement between you and the carrier company will determine whether payment is to be paid to you (and you will pay the repair shop) or whether the check is to be sent directly to the repair facility. The accident report has to be submitted to the carrier company. They will determine fault (or percentage of fault) and will determine whether rules were broken and whether they want to continue to insure you and your cars. If they decide not to renew you, they are obligated by law to give you notice of cancellation so that you can get other insurance. Some states, but not all, require that you, the driver/insured and the insurance company report accidents involving personal injury or property damage in excess of a set amount directly to the state’s department of motor vehicles. Okay, that’s the mechanics of it, but what of the question of are you insured under a given set of circumstances? And that brings us back to the original letter sent to us by Bob W. of Woodland Hills, CA. Is your car really insured? Of course you have insurance on your special car. You’ve considered how many miles you anticipate driving, what the policy will pay in case of a loss, what hoops you have to jump through if you have a claim and, of course, premium price. And although you have a document from the insurance company in hand, I repeat the question: Is your car really insured? 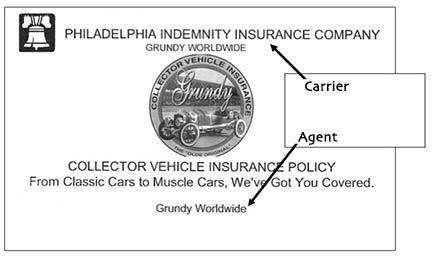 Most collector-car specialty insurance companies have similar requirements. The car may not be used as regular transportation, either to run local errands, as primary transportation, for commutation to and from work, or even in place of the primary household vehicle when that vehicle is incapacitated. The car may not be used for racing or as a hired livery for either goods or passengers (this includes using the car for weddings, proms, or other special events). The reason for these limitations is simple: the premium for a collector car is considerably lower than for the regular family car, based on the presumption that the collector car will be used less and in situations where it has less exposure to the chance of an accident. You may be the most careful of drivers, but when you take your well-restored and well-maintained collector car onto the freeway during rush hour, you are at the mercy of all of those other distracted drivers – distracted by cell phones, shaving, doing their make-up, finishing their dressing, eating their breakfast, reading the newspaper, and all of the other things that you’ve seen people doing while killing time on their way to work. In a nutshell, that’s it! That’s the reason for the lower premiums and for the severe restrictions enforced by the collector-car insurer. All of the insurance companies are pretty definite about what constitutes use as a regular vehicle, and use as a collector car. Let’s take another look at the three scenarios presented to the insurance companies, and see what their responses were, and why. 1.) I take an antique vehicle to a local restaurant for dinner. Almost all of the insurance companies questioned responded, “Sure, you’re covered. That constitutes an occasional pleasure trip, and that is allowed under your policy.” But, it was pointed out, if you are taking your wife, and perhaps another couple out to dinner (or lunch) that’s fine, but if it is a business client then you are in violation. Taking a client out removes the trip from the pleasure category (although it may be a pleasure for you to drive your car, and show it off) and places it into the business or everyday driver category. 2.) I drive to a local grocery store for a loaf of bread. No go! Whether it’s to the local supermarket or to the hardware store or even to the auto parts store, it is considered using your collector car to run errands. Okay, what if you are coming home from that trip to dinner and stop at the supermarket to pick up a quart of milk? It is not the supermarket that is the problem; it is the purpose of the trip. The trip is an “occasional pleasure trip” and the fact that you stopped on the way home for a quick something doesn’t change that. Let’s reverse it then. You are going to the hardware store, and the supermarket, and have a stop to pick up dog-food at the local Petco, and maybe you have to get a haircut, too. And you stop for lunch along the way. It is still using the car in place of the family vehicle to run errands and that is in violation of your policy. So far most of the insurance companies are pretty much in agreement. An occasional pleasure trip is okay, but running errands is not. How many trips can you make and still be within the “occasional” rule? Does that mean that you can never take the car out to run an errand? Let’s be realistic. Your insurance company is not going to put someone into the back of your car counting your trips. And frankly, if you don’t have a problem, and don’t make a claim, then they have no way of knowing whether you took a trip or not. An insurance agreement is a contract between you, a reasonable adult, and the the insurer, a gambler that you are not going to have an accident. And virtually all of the time, the insurance company will pay when you have a claim. One company representative told us right up front, “The vehicle is covered. Virtually regardless of the cause….” And it is what comes after the ellipsis that we will discuss in a moment. 3.) Living in Los Angeles, I take a trip up the coast to San Francisco, staying in motels/hotels along the way. Of the three scenarios, it was this last that provoked the most contention. The insurance companies were pretty well divided down the middle as to whether or not the car would be covered under their collector program. The pro stand was that it is merely a pleasure trip regardless of the distance, and, as an occasional pleasure trip you were covered. The con side stated that this was a vacation trip, and so using the collector car was in violation because the collector car was being used in place of the family car. The collector car insurance business has changed radically in the past few years, and has gotten more competitive. Not only are the “Big Boys,” such as J.C. Taylor, Haggerty, Grundy, and Sneed offering policies and packages for your collector car (and street rods, large collections, modified cars, etc. ), but there are more independent agents in the game, such as Robbin Terry of Midwest Classic Insurance — a a car collector and restorer himself. The question of parking out-of-doors at a motel or hotel overnight seemed not to be a problem. Despite the fact that most (collector car) insurance policies specify that the cars must be stored in a closed and locked garage or storage facility, that refers to permanent storage. The insurance companies understand the need for out-of-door parking when staying at a motel/hotel (whether it is a pleasure trip or a sanctioned car-club event). Again, the “prudent man” rule comes into play. If your collector car has beautiful brass lights, brass horns, or other thief-tempting gee-gaws, don’t park it in a dark corner of a public parking lot. Although even parking it directly outside of your room doesn’t ensure safety, a theft there is less likely than in that dark, unpatrolled corner. It has been suggested that if your car is that vulnerable to theft, or removal of components, speak to the management about parking it just outside of the office, or, in a hotel, ask the doorman or valet to park the car under the front portico. Sorry, still no! Whether it is an auto museum or an art museum or a natural history museum, it doesn’t change the intent of the use of the car. It is still in place of the family car. This one was a real can-of-worms. It seems that this scenario, more so than any of the others, is subject to personal interpretation. It’s a moot point if you don’t have a claim, but if you do have an accident or any kind of claim, the insurance company can easily respond that you don’t belong there and so you have violated the terms of the policy. If you do have a claim and report it, the reviewing clerk might not understand the ramifications of the trip and deny the claim on general principles. It could very well require a series of letters and telephone calls to get to someone in authority who will review the case and make a final determination. You may lose, but at least you’ll know that you tried. Well that’s about it. Get a reading from your insurance company in advance if you know that you are going to be using the car in a way that differs from the norm. Almost all of the insurance companies finally said, “Yes, we will pay the claim, but if, when reviewing the case, we find that you violated the terms of the policy, we may drop you as an insured or refuse to renew your policy.” But legally the company must advise you by certified mail of an intent to drop your policy, and must give you adequate time (a subjective phrase) to obtain insurance from another company. If you apply for insurance, the new company may ask about your past insurance history; don’t lie. That constitutes grounds for declining a claim. If you feel that you can avoid many of the conflicts that we’ve addressed above by insuring your car with your regular daily-driver insurance company, let us send up a big, red flag. Virtually all insurance companies, outside of the classic car specialty, deal with claims based on Kelley Blue Book value, or on an hourly repair rate at a collision shop specializing in the more common Hondas, Toyotas, and Chevys. In almost all cases their collision repair consists of removing the damaged panel and popping in a new replacement. They generally don’t have the facilities to do the bodywork that you want for your collector car. If the insurance company has to pay for the precise hand labor to hammer out a dent in a heavy steel fender, the insurer is liable to place an arbitrary value on the car – based on marque and age and not necessarily on rarity, or uniqueness. Your 1956 Packard could be valued the same way that they value a 1982 Nissan, far below the actual value or replacement value of the car. Most modern insurance companies are not skilled at valuing an antique or collectible car. You could find your classic totaled out by the insurance company and a check in your hand which wouldn’t buy a set of tires for that now-deceased classic. Go with the specialists; they know this unique business, and they can provide the special services that your collector car requires. The collector car specialists understand the value of your car and can talk knowledgeably about condition, rarity, what your car is worth, and repair/replacement values. Don’t make your decisions based solely on price. Although most companies are similar, the services that they provide do vary, and one policy might fit your needs better than another. 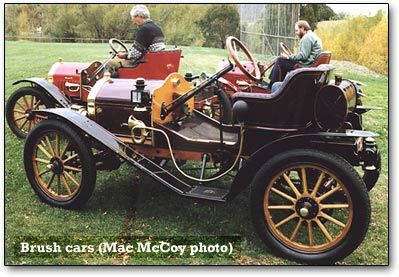 Let’s sum it up with a direct quote: “Yes, the collectible auto policy issued through J.C. Taylor provides full coverage in every outlined scenario… Our antique automobile policy is modeled after a private passenger auto policy with the major exception being the Agreed Value Physical Damage coverage. The Agreed Value is the amount of coverage on a vehicle to protect against damage” (as opposed to basing value on the Kelley Blue Book). Shop around, write letters and solicit information that will best fit your needs. What you need is out there. Policies today are often much more liberal than in years back offering unlimited mileage, special exemptions for car-club events, etc. It is no longer necessary for you to just accept what they are offering; there may be a better deal just around the corner. 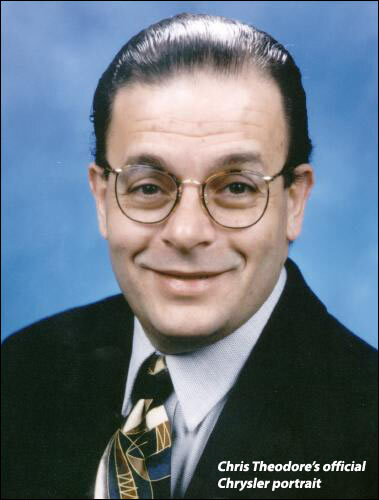 We owe a special thanks to Mr. Robbin Terry of Midwest Classic Insurance. Mr. Terry pointed out another problem with collector-car insurance. One that we never considered and, frankly, were completely oblivious to. Regularly, Mr. Terry informed us, in order to save a few dollars, owners of collector cars suspend their collector car insurance (except for the comprehensive, figuring that they are not going to drive it so why pay) when the car goes into storage, only to re-activate the policy when it comes out of storage in the Spring. That could be a really big mistake. Homeowner’s insurance policies exclude coverage when working on cars. That includes new cars, classic cars, operational cars or, in the case of cars in storage, non-operational cars. Once you’ve cancelled that collector car policy, it is uninsured! If something falls onto the car – not covered. Slipping off jack stands – not covered. And the most serious consideration: if you or a friend are working under the car, and the car slips off the jack stands, you are not insured! In case of permanent disability or death of a friend or neighbor, that little saving of dollars could cost you your home, your savings, and everything that you’ve worked for all of these years. Think about it. Is it worth the few dollars that you’ve saved? Other thanks go to J.C. Taylor, Grundy Worldwide, Heacock Classic Insurance, Sneed Insurance, Midwest Classic Insurance and others for their assistance and input in helping to gather facts for this article. 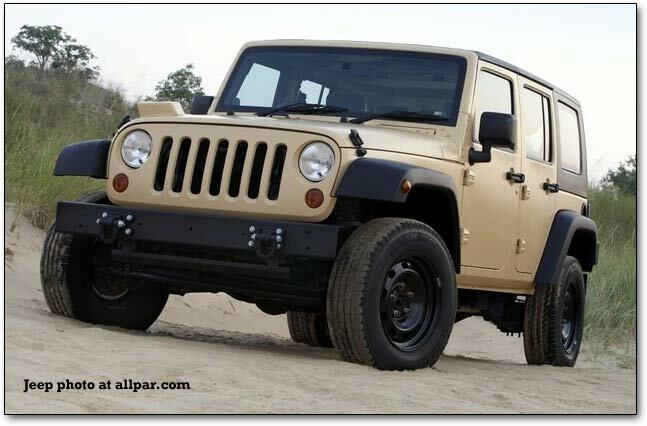 The Jeep Wrangler Unlimited was originally created at the request of Egyption customers; it was followed by the 2008 launch of the Jeep J8, a beefed-up Wrangler Unlimited assembled in Cairo, for government or business use them in areas too demanding for conventional vehicles. 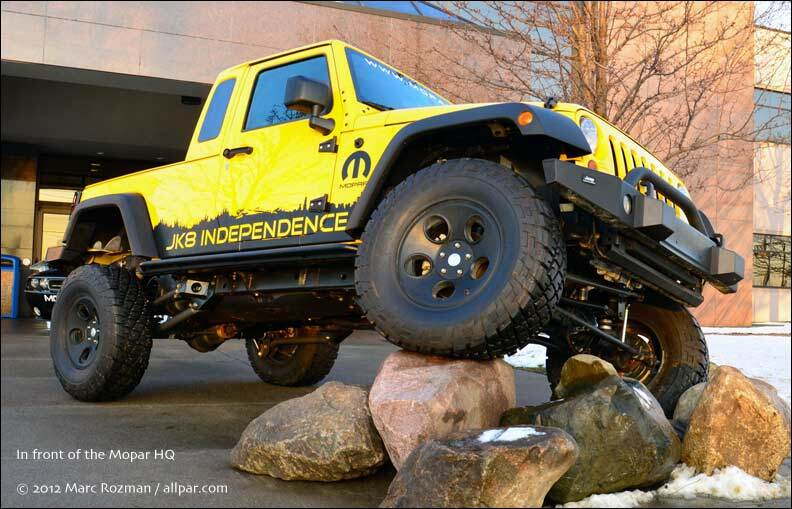 The J8 is essentially a beefed up 2007 Jeep Wrangler Unlimited; the frame was reinforced to allow more abuse and greater payloads, up to a maximum of 1,339 kg (2,952 lbs.). Axles, brakes and suspension components were upgraded, and the rear suspension was replaced by a traditional, tough leaf-spring system. The rear axle is a Dana 60, with 4.1 ratio and 2,273 kg capacity; the front is a heavy-duty, 1,764-kg capacity model. The NVG 241 transfer case has a 1.0:1 high gear and 2.72:1 low gear, with a 4.10:1 final drive gear ratio. Dual 12V, 850 cca batteries are fed by a 180 amp alternator; four 12V outlets are provided in front and rear. The factory can fit a 12V to 24V DC converter (45 amps), Euro IV emissions, and full size doors with windup windows. The engine is a 2.8-litre four-cylinder turbo-diesel rated at an impressive 118 kW (158 hp) and 400 Nm (295 lb.-ft.) of torque, with towing capability of up to 3,500 kg (7,716 lbs.). 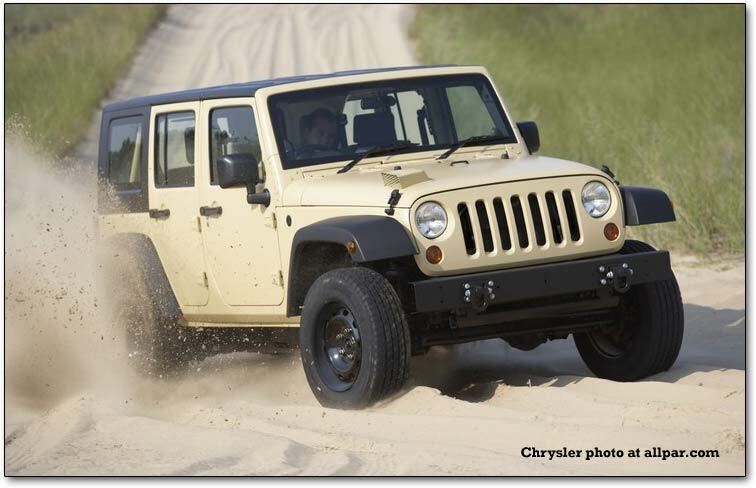 A five-speed Chrysler 545RFE automatic transmission connects to the Command-Trac® four wheel drive system. The J8 also has a unique air intake with Donaldson air filtration and a hood-mounted snorkel to go through up to 30 inches (762 mm) of water, or to tackle zero-visibility sandstorm conditions for up to five hours. Top speed is 140 km/hour; fuel capacity is 85 liters; and gas mileage is an estimated (Euro IV) 11 liters/100 km. Available as a two-door with an extended pickup bed for personnel or equipment transport, or a four-door multipurpose vehicle, the J8 is produced with numerous vehicle-body and seating configurations in either right-hand- or left-hand-drive. The Jeep J8 is armor capable and could be used as a command vehicle, troop/cargo carrier, ambulance, or communications vehicle. 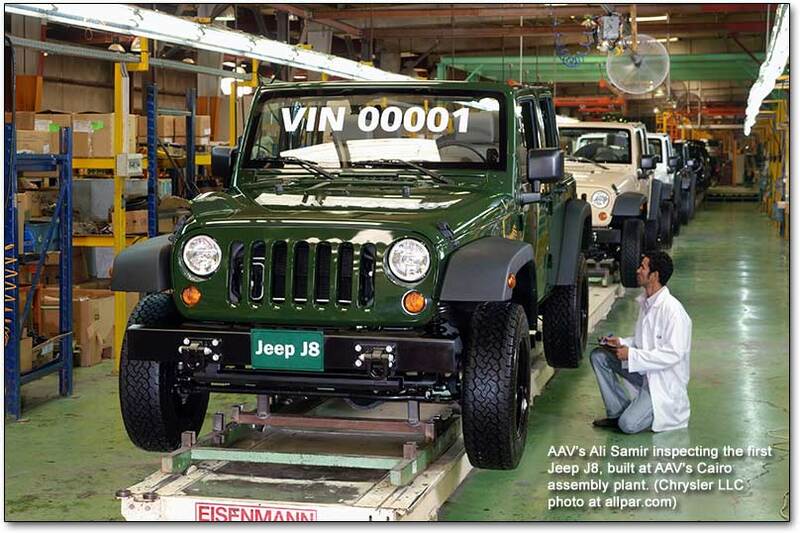 Heavy-duty bumpers with tow eyes allow the Jeep J8 to be easily transported by air. Curb weight is 2,600 kg; trailer towing is rated at 3,500 kg; gross weight is 3,864 kg. An armored version of the Jeep J8 was the first vehicle to be certified under BRV 2009 VR7 for ballistic protection using hot-formed steel technology to create an external, non-parasitic protective shell. The BRV 2009 standards (which range from VR1 to VR7) are stringent and require the entire vehicle to be subjected to comprehensive destructive testing, including multiple shots from the appropriate type of ammunition. The car, including firewall, windshield, rear, roof, sides, and aperatures can be shot at from any angle; VR testing certifies the bulletproofing on the vehicle itself for real-world applicability. VR7 protection is similar to the B7 level (most Middle Eastern armored cars are at the B6 level). … there are many uses for a light utility vehicle like the J8 behind the lines. For border patrol, police activities, homeland security, radio communications command vehicles, data acquisition, or just for getting people around. … … We’ve learned that many potential customers will still want these vehicles armored. With its payload, that won’t pose a problem. … The two-door and four-door versions of this vehicle are built on the same 116-inch long wheelbase chassis. That’s the same as the four-door Wrangler Unlimited. With the two-door J8, the added wheelbase provides almost a pickup-like bed in the back that can carry equipment and people. The Jeep J8 was actually designed for militaries outside of North America. That’s why it has a diesel engine. However, the more we talked to various agencies, the more we realized there could be applications for the U.S. military operating outside North America … Aside from the difference in payload, it’s got front and rear bumpers that have been beefed up so you can actually pick the vehicle up with a helicopter. It’s also got an air filtration device that filters out sand and dust for five hours in blackout conditions. … We’ve also had a lot of backdoor interest in commercial use for this vehicle—for construction workers, farmers, some in mining operations and those in utilities. We’re working on putting a business case together to do that. But so far, there are no plans to do anything aside from launching the Jeep J8 next spring for military and civilian government customers. 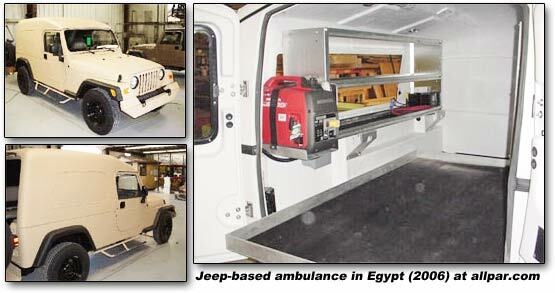 The 8 gallon auxilliary tank is visible on some photos; the ambulance version is fitted with roll-out bed. Rochester, N.Y.— This week the Hayes family was supposed to be celebrating two birthdays. Their twins Caiden Shea and Kaylie Jordyn were born at Highland Hospital. The Hayes’ grieved the loss of their daughters, but Michelle turned her grief into inspiration. Michelle got involved with March of Dimes. Through the organization, she met another mother who also lost her premature baby. Together they formed An Angel’s Love. 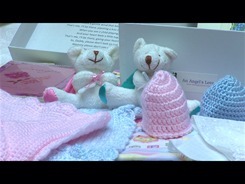 The group provides hospitals with preemie hats and blankets. On Tuesday, she made a donation to Highland Hospital in honor of her twins. They made donations of hats, blankets, burial wraps and baptism gowns. Michelle says her organization hopes the donations will provide comfort for other families. The group donates to Strong and Highland Hospitals. They hope to expand to other hospitals outside the Rochester area with the community’s support. … In the product plan, Chryslerhad penciled in a tall car off the Neon platform. Chrysler had tried way back in the ’80s, after the success of the original minivan, to do a mini minivan. The program at Chrysler was called the Z Body, and Chrysler designed it, but every time they market tested it, it failed. Chrysler finally ended up giving it to Mitsubishi. Mitsubishi improved upon it and did the Summit, and of course that failed. Everybody else that had tried to do a mini-minivan failed. The American market was not ready for that. You can look at the Toyota Matrix that came later, and all the other tall cars like it have failed. So we knew we had to do something different. Between Castaing, Lutz, myself and Bryan Nesbitt, the designer – Bryan came in a little bit later – we knew what we wanted. We knew the car had to look different. In my mind, I had been sketching up 1940 Ford panel delivery vans and Francois would say that what we needed to do something like Legend racecars. I don’t know if you remember those. They were big hit in racing at that time… just do a little Legend car. We all knew what we wanted, but the designs we kept getting from the design office were contemporary four-door or hatchbacks like a Toyota Matrix. It just wasn’t right. Then we tried to do retro, but retro always ended up looking like a Volkswagen kit car with a 1940 Ford front end. That wasn’t working. Lutz kept pushing for a retro solution. We were doing some bizarre research with a cultural anthropologist called Dr. Clotaire Rapaille, who had been introduced to us by Dave Bostwick, head of Market Research. Oh really? This is company work? Of course I wrote about the first car I ever drove. I used to sneak when I’d make deliveries with my dad and my uncle. They would deliver wholesale supplies to restaurants, and while they were delivering the goods, I’d drive our Chevy panel delivery van using the starter motor and the creeper gear. Do you remember how the starter button used to be on the floorboard? I’d drive around this van. That’s how I learned to drive. Yeah, I feel the same. I’m the same way. I wrote stories about cars. Anyway, Bryan and I kept passing sketches back and forth. Because it wasn’t just retro, but it was a hotrod look to it, and that was the key. We had it blown up to full-size and so when we walked after the clays, we had it set up so that when we walked out, everybody had to walk past this full-size blowup of Bryan’s sketch. A lot of people still didn’t believe it at the time. People were whispering to me it’ll never translate into the clay. It’s not going to look like that. It won’t work. Eaton didn’t like it, but I liked it. Francois and Lutz loved it. I did my own little research test – what I call ink blot test. I’d go around to – I knew we could get, you know, the retro side, the 40-somethings, but I wanted to get the youth market which we called the “Peter Pans” – the young kids starting to have a family, needing something more practical but didn’t want to admit it. They wouldn’t be caught dead in a minivan. So the idea was, you know, candy-coated medicine. It’s good for you on the inside and flexible to meet their needs, but it’s desirable on the outside. So I took Bryan’s sketches, on 8 ½ by 11, and I’d walk up to 30-year-olds and say okay, just tell me the first thing that comes to your mind when you see this. Invariably I’d show them the sketch, flip it up to them and they’d go “cool.” That’s when I knew, for sure, that we had a hit. This is after Prowler happened. Right. 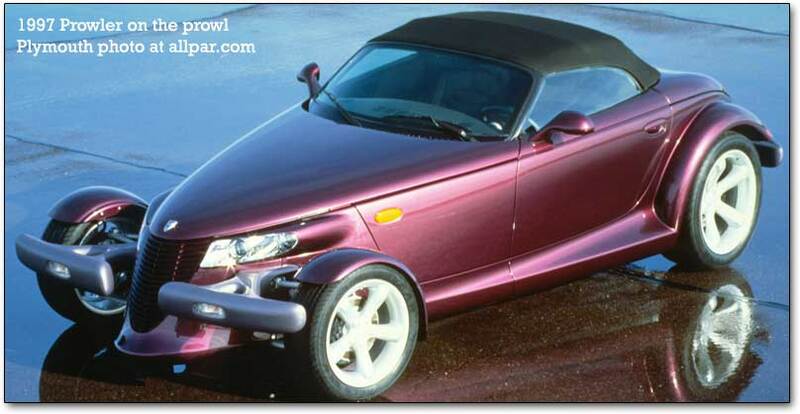 Well, the whole idea was Prowler was supposed to be the spark to rekindle interest in the Plymouth brand, and the PT Cruiser was then to follow on as a Plymouth. It was not to be a Chrysler. Then we were going to do a whole line of unique Plymouths. In fact, there was a committee that was formed and the whole idea of Plymouth was to become – how do we save the brand was to become the “Peter Pan” brand. It was going to be the youthful brand, kind of what became a latter-day Scion is now – it was supposed to attract the youth, and always just stay as a car for youth. Never grow up, if you will. Which it kind of did a lot. You know, it’s kind of known for it. Finally Eaton acquiesced and we took off and did the PT Cruiser. The sketch went to a clay in eight weeks – record time. Truth be told though, we had to change a lot on the Neon platform. We did all the feasibility and we did the stamping simulations. They said there’s no way you can stamp that aperture – the quarter panel. We did 13 different simulations and we finally proved that you could stamp it with all the shape that’s there. So we did that, all that feasibility and in record time, again from a cross-functional team. We used to have sunrise meetings. We’d meet at the studio at 6 or 7 in the morning, the engineers, the clay modelers and the manufacturing guys and just work out the feasibility as the clay was being made. We had to redesign the platform to have a flat floor in the back to get it classified as a truck, and have the folding takeout seats. I had to fight with the guys for the rear suspension. I wanted to do a Watts link rear suspension. The guys didn’t want to do it. And finally, the whole car required different packaging because it looks like a rear-wheel drive car but it was front-wheel drive. What we had to do was put a lot of components in places where people weren’t used to. We used to have package meetings after those sunrise meetings. We’d have package meetings and I’d ask the engineers to rethink where all their priorities. We did this every morning until we had a plan. So PT wasn’t really based on the Neon as much. The only piece that’s really, really common was the front floor pan. Basically everything else was all new, and powertrains of course were semi-common although we went to four-speed transaxle from the three-speed in the Neon and a lot of other stuff. It was a great project. It was an unloved project to tell you the truth. A lot of people – like I said, Eaton didn’t like the car, Design didn’t like the car. Sales and marketing said they could only sell 30,000 PTs, because it was a niche product. 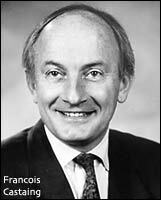 Francois had moved on to International at the time and he said he’d take 50,000 units for the rest of the world. That made the business case work and that’s how we got the program approved. Of course Sales and Marketing ultimately came around. Over 1.2 million PTs were sold. I couldn’t wait to take the PT to Research. Normally I like to go to clinics just to see customer reactions and read their minds, because people can interpret the data in whatever way they want. I couldn’t wait, and in fact I insisted, because we’d already made up our mind to do the PT Cruiser. I couldn’t wait to get that car to Research to reaffirm my gut. The people just went crazy at the clinic. If you remember when we did the Ram truck — that one came about while we were sitting around a lunch table at Jeep Truck. I can’t remember who was there. I know Craig Winn was there, I was there, I think Trevor Creed was there and maybe Lutz or Castaing were there. Chrysler already had a new Ram on the drawing board, but it looked just like a Chevy or a Ford. Someone said, “Wouldn’t it be neat if you saw a pickup truck in your rearview mirror and it looked like a Mack truck was about to run you over?” And that’s where the Ram idea came from. That went to research, and the thing was, 18% of the people loved it but 30% of the people hated it. And marketing said, “That’s terrible.” Lutz said what the hell are you talking about? We’ve got 8% market share with the Ram. You’ve got 18% that love it head and shoulders above everything else. Let’s do it. And of course immediately after the Ram was launched, it went straight to 18% market share. 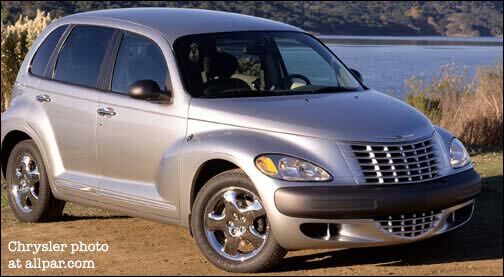 When the PT Cruiser went to research, it was about 30% love and only 8% hate. We had two sets of research going on, and I remember going outside for a little break from watching all the clinics and I met a guy sitting in the parking lot that had been in the clinic. I introduced myself, because he fell in love with it. I asked why he was still here? He said his wife was in the other clinic and he wanted to take her to see the PT. She’s got to see this car. The interesting thing is we got both the youth market, the 30-somethings as well as the 40-somethings. Because of the nostalgia part of it. And it started out that way. When we launched the PT Cruiser I had already left the company, but the youth were buying it and the boomers were buying it. But then they miss-positioned the marketing and lost the youth market. We had a whole plan for keeping the youth market engaged. By that time PT had changed to being a Chrysler because the Plymouth brand had been killed before it got to market. That’s the PT story. [Later, via email:] The code name for the 2000 Neon was PL, and the plan called for a “tall” version of the PL, so its code name was PT [P Tall]. I’m not sure where the “Cruiser” came from, but I think it may have been on Brian Nesbitt’s original sketch. Some people tried to add meaning to the PT, after the fact, for “Personal Transport,” but that never stuck. Finally, remember that it was supposed to be a Plymouth PT Cruiser! The hotel caters to Spring Fest, I believe they even claim to like us. The key cards are SRT. The elevator doors are decorated for the event. Evidence of the LX Forum can be seen in many places. The registration topped at 1003, it has gotten bigger every year. David McIntosh invited me to roll with the Challengers to SF the next day. He requested that I acknowledge the passing of Ralph Mueller. David is not taking this easily. Ralph owned a Deep Water Blue Challenger. Back to the hotel, I hooked up with the western Canadians; fastwater, hitachiman, a pair of Bryans, dabits, bandaid and code B5. Code B5 wanted folks to believe he was closer to code 5150 but it was all a front. This group had a large poster for Rab, a fellow from the Brampton assembly plant. Rab usually attends this event but couldn’t make it this year; the next day the poster was used to reserve his parking spot. Later, a powerful thirst over came me and I headed to the bar. There is Cam in a subdued Hawaiian shirt. We chat about the inequities of a person misrepresenting who had worked on their car. He was quite calm about it. He is already a busy guy and I guess he figures that he will get the second engine build and it will not be far away. Cam later introduced me to Fredric, the guy from Sweden. Fredric told me the secret to keeping a girlfriend happy in a supercharged car. I am not divulging the information here; it is available for a reasonable fee. The near proximity of many hemis is infectious. In fact I think the warbling note of the exhaust irritates other drivers. It certainly seems to work that way for me. I wonder what a Lexus driver thinks when he pulls into this ocean of behemoths with the hoods up, painted in colors the rainbow has no hope of matching with hundreds of people milling about. It ain’t no Toyota get together. Friday afternoon I was attracted to a Durango from Detroit. It was painted an orange color that I had not seen. It looked like Hemi Orange suffering from anemia, a closer look reveals very tiny flecks of white pearl. The vehicle is parked with the front fascia beyond the parking stop. A guy with a Mopar shirt comes out, surveys the situation, curses softly, and then reversed the vehicle. The exhaust tips have Mopar inscribed on the top but it can barely be seen. The guy said when the vehicle has just been driven the expansion of the exhaust system will put the tips and inscription in full view. This vehicle has the good Pirelli tires on black five spoke wheels having one segment painted to match the vehicle. In speaking with the SRT Engineers the next day it was related that the color does not have a name. I like the color, but while Anemic Hemi Orange describes it perfectly, it probably wouldn’t market well. The next morning arrived right on time but seemed terribly early! I grabbed some breakfast and headed for the Challenger meeting area. A jacket was needed, after this is Spring Fest, dress accordingly. There were black bands available for taping around your rear view mirror honoring Mr. Mueller. Once again Irvine Police made themselves available for viewing in large numbers. I began to chat with a fellow who related, “I was kind of upset when my wife rolled up in the driveway with this Challenger but she calmed me down by buying me a Harley.” She personalized her windshield banner by replacing the // with fender stripes. The Challenger was the number one vehicle in this year’s registration. It took a long time just to get the nor-cal and so-cal challengers aligned on the street. Remember the Irvine Police are everywhere. Finally parked, and with more precision than when parking for the Silver State Race. There are three major lines; one for a free SRT water bottle, one for Sam Hubinette where you could pay $20 to ride in the Charger or $100 to ride in the Challenger and a third to drive the SRT8 line up. All lines are too long so I look into taking a shift knob survey. “But, do you drive a stick shift vehicle”? I answer several questions aimed to find if I valued function or appearance. A succinct summary, “I don’t care if it is solid gold, if I can’t make a good shift every time it is worthless.” As speed increases the downshift becomes more important than an up shift. A good heel/toe downshift is a thing of beauty, keeping your vehicle under control going into a turn while getting your engine at the proper RPM for exiting the turn. I have to thank my wife for the car and the training that allowed me to drive the crap out of it. I wish she could have afforded a Viper. I climb in a Challenger and Mary asks me to run through the gears. I don’t like to shift a manual with the gears still. The transmission shifted well, it felt familiar. Then I realize this is a Tremec six-speed, the Corvette is a Tremec six-speed. I am sure the internal ratios are different. I will not contaminate future surveys, all I will say is that hitachiman and I picked the same knob. Every time I check the driving line it is either too long or they are taking a break. These guys can’t eat seven times a day. I guess people don’t understand the need to let tires cool. The NASCAR Charger for 2013 does have a striking resemblance to the street version. Isn’t NASCAR worried that the side indents might give a side draft advantage? So for next year I am looking forward to someone jumping out of a medium blue Dodge, taking a sip of Coke, and saying, I want to thank all my sponsors. Lunch is free and is barbequed pork and chicken. Many, many years ago I lived in Arkansas and at that time barbequing was not a recognized method for cooking chicken. I still hold to that tenet so I get pork and some tangy, tasty beans. Wind has been a component for several Spring Fests, so for next year I respectfully request that the dining tent have drop sides on the south and west. If that does not defeat the wind, next year I will eat my lunch, plate and all. Early in the afternoon a guy climbs onto the stand for the public address system and proposes to his girlfriend. Now, that is a first. So in the future there will be a Spring Fest wedding, then Spring Fest babies, who knows where we are headed? Spring Fest could be responsible for some divorces as well. As an example, a few years back a fellow spent some serious coin on Friday for tires, on Saturday afternoon both rear tires were essentially missing after he won the burn out contest. I see a Charger with a windshield banner declaring “Queen Bee.” This is not one of the queens that heads for San Francisco. She is a real lady and does her own designs and installs her own modifications. This time I don’t wander very far and when they return they guestimate the crowd at 75, and announce, “Everyone here will get through.” I get a card and enter a ton of information, swiped my drivers license. I had difficulty answering, when do plan on purchasing a new vehicle? I purchased a new Dodge van in 1972 and still own it. I purchased a new Charger SRT8 in 2006. I am not going to live another 34 years. I get the Challenger; darn it doesn’t have a clutch. I do like the pedals, they let elevated rubber mounds grip your shoes. Not racing pedals, but Roush has that covered nicely. I adjust the seat position, the wheel is a little too vertical but I leave it alone. Then I test for maximum turning, can my right hand go to where left hand was while still gripping the wheel with both hands? I let a lot of people drive my car and I hate it when someone does that. Oh boy here we go! I cannot jump into an unfamiliar car and drive it to my maximum. I look at him and say, “You were at the Auto Club Speedway.” I have been to three and I know he was not at Laguna Seca and I don’t think he was at Phoenix International Raceway. He then tells me, “This is like the SRT Events except the length is 45 seconds.” My turn to go, I feather the throttle out of the hole. Why can’t I do that at the drag strip? The first maneuver is a symmetrical chicane, looks bad but you can carry all of the speed that you have built, just roll through it. My first, last and only try I get 41 seconds. The line for Sam Hubinette is very short. I go over and find the line is short because they have used all of their tires; I just saved $20. I can say the same thing about being out of tires. I ordered rear tires just before leaving for SF. Concussion helped me get rid of some rubber and he wants me to come to the east coast to race in good density altitude (DA). Can’t I just up my nitrous shot? Back at the hotel people are vowing to be here again next year. Hatachiman is loading his 1020 rwhp Detonator Yellow Challenger. It attracts a crowd every time he fires it. Getting it in the trailer is a challenge and getting out of the car after it is loaded is an even bigger challenge. Gasoline prices are already creeping back down and now Tom Kloza of the Oil Price Information Service says we may see prices at the pump comparable to what we paid in May 2011. If that happens it will be the first time since October of 2009 that motorists will actually pay less per gallon for regular unleaded than they paid the year previously. In spite of some potential hazards, like the deadline for the Iranian sanctions on July first and the scheduled closure of a large East Coast refinery, Kloza thinks we have already seen peak retail fuel prices for this year. Kloza said he never believed in the doomsday forecasts of $4.50-$5.00 per gallon that had been predicted.